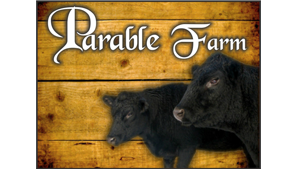 Pastured Pork Roast | Parable Farm, Inc.
1. Preheat oven 325º with rack in low middle position. 2. Dry roasts with paper towels and sprinkle all sides with with salt and pepper. 3. Heat coconut oil, peanut oil, or lard and brown all sides of your pork roast until medium to dark brown for the best flavor. 4. While browning pork, place the onion, garlic, olive oil, apple cider vinegar, honey, oregano, chili powder, rosemary, granulated onion, cumin, salt, fresh ground pepper into a food processor, and pulse until combined. 5. Pour into roasting pan or Dutch oven, add the water and cover with a will-fitting lid. 6. Roast for 2 1/2 to 3 hours.